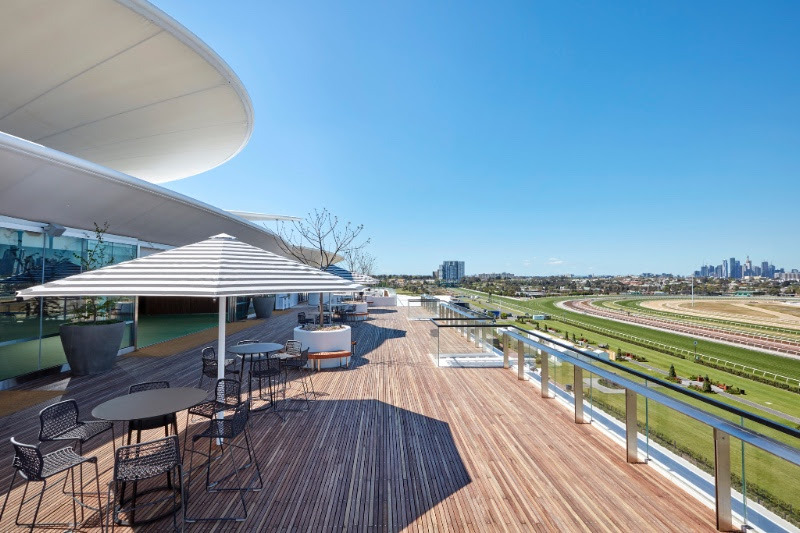 The Club Stand for the Victoria Racing Club (VRC), a new centrepiece at Flemington Racecourse that is home to the internationally renowned Lexus Melbourne Cup, the ‘race that stops a nation’ was officially opened 1 November 2018. 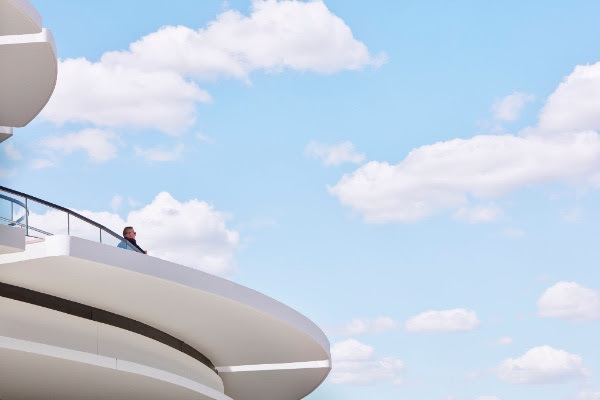 The highly sculptural curvilinear form of the building with its tilting sunshade and tiered seating will create an immersive ‘in-the-round’ experience for Members and their guests who will enjoy each of the beautifully curated venues with impressive views of the racetrack. 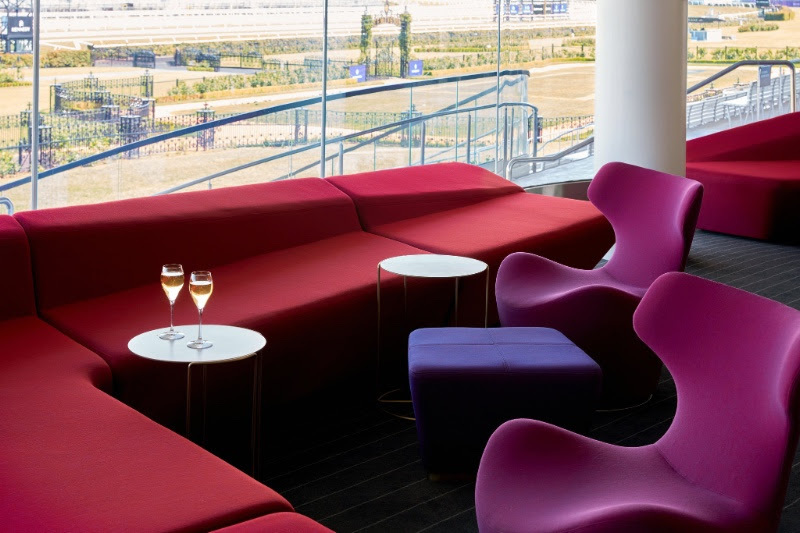 Bates Smart has designed an exceptional building with unique spaces that deliver an unrivalled raceday experience for VRC Members and their guests. he wide-ranging restaurants and bars, each with their own design personality drawing on our rich history, ensure there is something for everyone as well as guaranteeing Flemington and Melbourne remain the global home of racing, events and entertainment. The Club Stand is a confident expression of the VRC’s belief in our future growth and prosperity. It is a ‘game-changer’ for us. 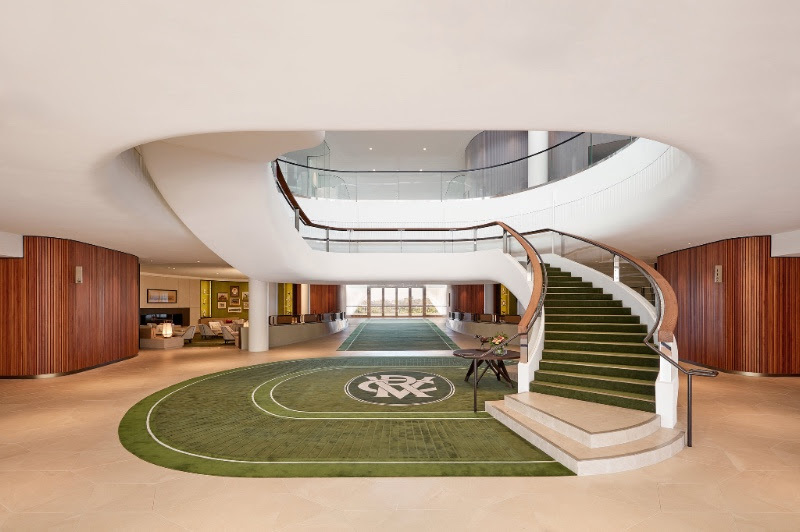 It was important to create a seamless transition from the exterior architecture to the interior spaces to ensure a premium race-day experience for Members, offering a cohesive and consistent design language from the outside in. Every detail has been carefully considered to minimise the impact on the views and expand the extraordinary frameless glass floor-to-ceiling perimeter.